Does having a clean, orderly home positively change your mood? Have you ever wondered why that is? Order, is a basic human need. As well as a sensitive period* for children during the first six years of life. So there you have it. Yet, I know how difficult that can be to put in place when you’re living with young children. Seems practically impossible when you watch your child go from one thing to another without always putting toys away. They seem so disorderly. And that’s where you come in. Your role is an important one. You are the curator of the prepared environment. With time your child will help you, but at first, you’re on our own, sorry. Your child already has so much to take in and process that when you take the time to simplify, minimize and keep items in the same place she’ll be able to take note of where things go. Satisfying her need for order and helping her to make sense of her immediate environment. I promise you, this will pay off as she will quickly learn to put her belongings away. Order, is also the routines you create. Here again, keep them simple. How you do the same things every day; waking, eating, playing, sleeping etc. No need to be too rigid, but think more in terms of the sequence, the language and where things take place (i.e. bed, table, park etc.). 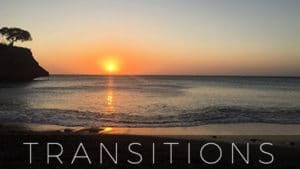 I’ve traveled around the world quite a bit with my children, starting when they were only 5 months, so it’s not about being confined to a routine at home but about having familiar, specific and simple ways of going about your day. 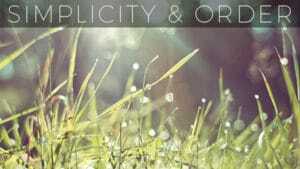 The physical order and simple routines are your creation and your responsibility. You’re responsible for connecting your child to her environment and to the rituals of her time, place and culture. If you want an orderly home, you’ll have to model it and create it right from the start. As your child gets older she will lose the need for order (after 6 years or so) yet if she’s been shown from an early age the importance of neatness and order and how to take care of the environment it will stick with her for a lifetime. So if having an orderly home, helps you lower your stress (which science proves), makes you feel calmer and at peace, then you know what to do. Keep it simple, minimize and have a place for everything. This will not only satisfy your child’s sense of order but will make life so much easier and calm for everyone concerned. 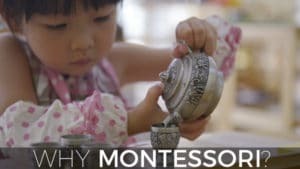 *Sensitive Period a tenant of Montessori teaching and also known as windows of opportunity where children are more focused and preoccupied with a certain topic. P.S. If you’d like some help in creating simple routines and setting up your clutter-free home, I’m here to help. 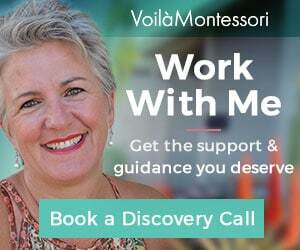 Book a discovery call and learn more about working with me. P.S.S. And if you’re in the market for some beautiful and simple furniture for your little one and want guidance on the best toys to have the first three years, check out both Sprout-Kids and Monti Kids (to get a $30 Discount + Free Shipping from Monti Kids enter code VOILA at checkout).